Wine Shop Owner and Professional Sommelier, Amber Cantella, will host a Wine Tasting paired with some of Bartlett Farm's own exquisite cheese. This fun and informative session will showcase several wines from France (red, white, rose') that represent tremendous value and are perfect for pairing with your summer menus. For a full farm talk and events schedule, click here. The timing couldn't be more perfect. Last night's dinner found me using my very last frozen pesto from last year. 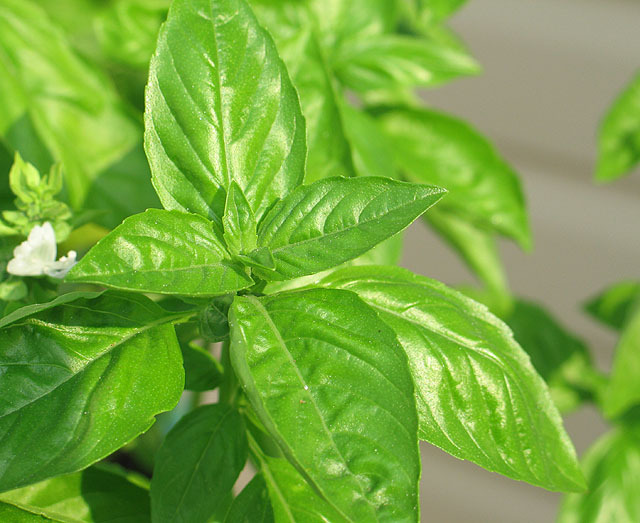 I planted several large pots of our own organically grown basil just last week, and because we've had such great weather, it's ready to harvest already! It looks like I'll be processing a batch or two this weekend. I'll use some right away, and freeze at least half to use later on. Last night I tossed it with some stir-fried veggies, bowties and shrimp. The pesto recipe and many others can be found in the Bartlett's Farm Cookbook. Plant your Own Window Boxes! Let Suki guide you through planting the perfect window boxes. 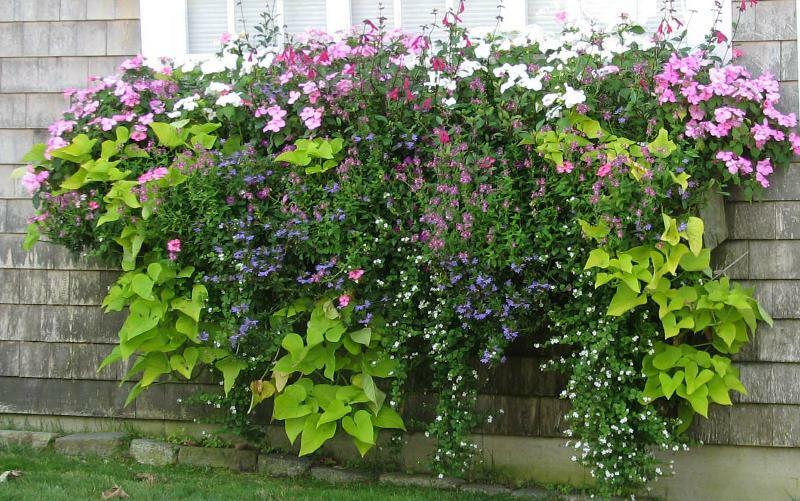 $65.00 includes 2-30" box liners and a selection of blooming annuals. Email Tommy@bartlettsfarm.com to sign up. Neil Hudson and Jenn Farmer are the creators of the wonderful entrees and side dishes you can find at the kitchen counter. From braised lamb to fried-green tomatoes, their food is original and fresh every day. They give you two choices of soup (Broccoli Cheese on Wednesdays) and plenty of options for lunch or dinner. Take a break from your kitchen and let Jenn and Neil cook for you! Buy one get one of the same for Free! Also, Pieris and Scotch Broom are 20% off. We're picking greenhouse tomatoes every day! What's Happening in the Fields? 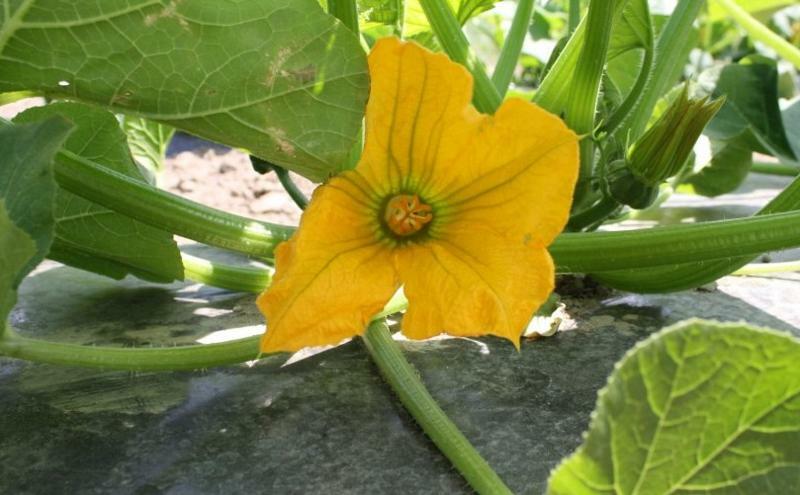 The squash blossom promises zucchini in a few weeks! 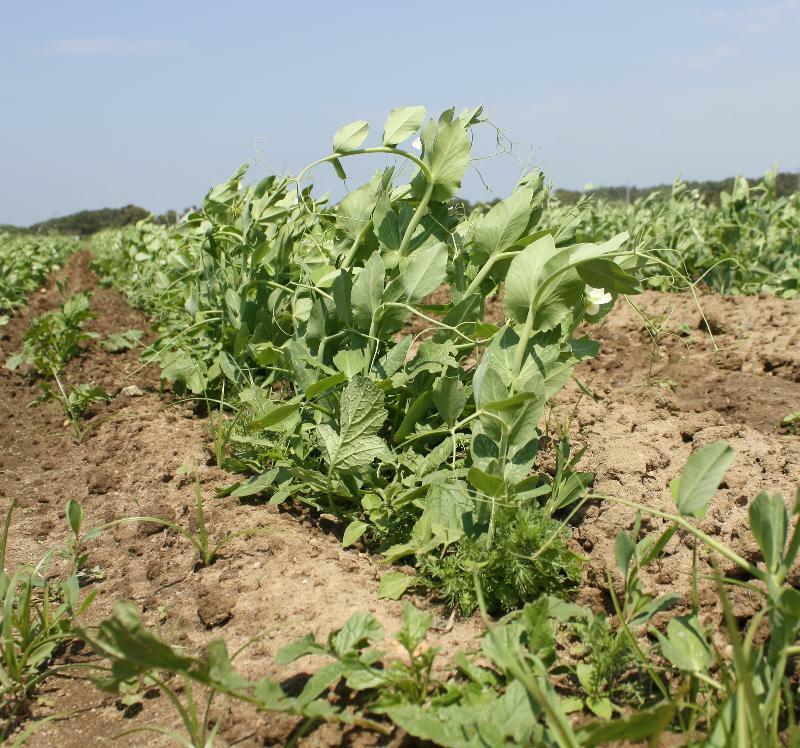 Peas by the 4th of July. 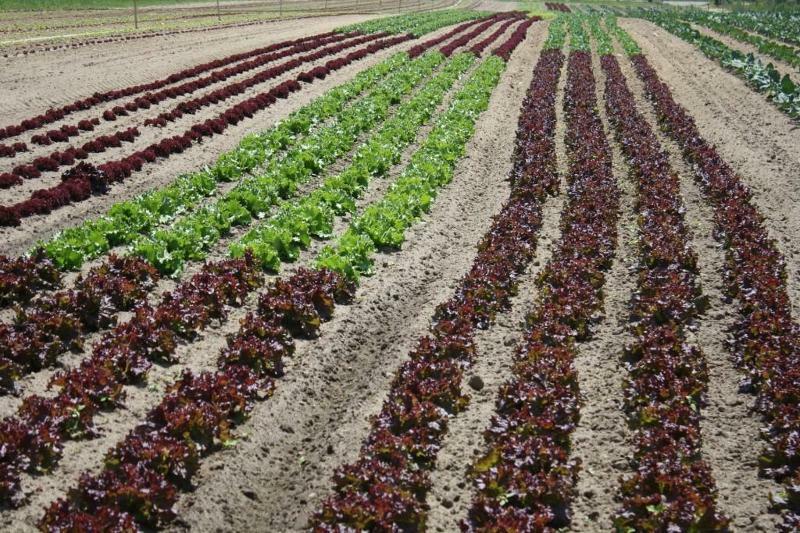 We plant a new crop of lettuce every 7 days, all summer! We're good at making group efforts here. Leah Mojer has brought in some great new selections of cheese for you, and Mj had the idea of presenting a collection of them on a tasting platter. That way, you can try out a few cheeses and not have purchase a whole block of any particular variety. 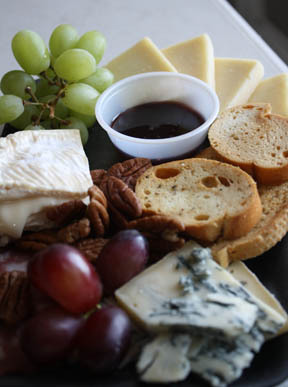 We've tossed on a few crostini, some grapes and a sampling of cranberry honey to round out the platter.